This was primarily because almost everyone in the veteran ecosystem has a JOB. The idea of veterans or active military starting their own “side hustle” was not on anyone’s radar. In the last several years, the government has pushed out millions of active military personnel. All the accepted direction for newly minted veterans was “Go to school – get a roof over your head – don’t beat on your partner – get treated for PTSD if you need it – and GET A JOB. The only problem, as we saw it, was there just weren’t enough jobs. One trip to a job fair was enough to convince me that starting and running a business was a viable option for veterans. 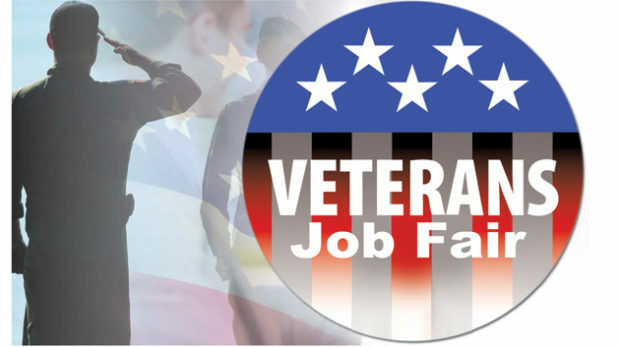 If you’ve ever been to a veteran job fair, you know how depressing and frustrating they can be. I got depressed, and I wasn’t even looking for a job. So, Barbara and I started a project to help vets and military, which we called Veteran Entrepreneurs Today (V.E.T.). Because we’d both had over 30 years experience working with civilian business owners, we figured we had something to offer. Fast forward four years and the landscape is significantly different. All over the country, the idea of veteran entrepreneurship has taken off. This has been propelled by institutions of higher learning (hoping to apply GI Bill benefits to learning how to run a business), non-profits, private enterprises, and the U.S. Small Business Administration (SBA). Slowly, but surely, the environment in support of “vetrepreneurs” (a new word) has produced a wide variety of answers. Some of these answers were low touch, such as online courses where the vet is on his or her own. A little more support and education can be found in workshops, which we deem medium touch. These you can find at places like the SBA funded Veteran Business Outreach Center operated by MiraCosta Community College. We learned that a high touch alternative, where entrepreneurs got more one-on-one personal attention, was preferable. We also discovered that vets prefer the company of other vets, rather than being mixed in with civilian business owners. Consequently, we designed the V.E.T. program to put together intensive think tank groups of vetrepreneurs to share info, challenges, goals, and most importantly, accountability. One of the most recent high-touch offerings comes in the form of events, calling out to large numbers of military/veterans for a one or two-day event. As you might expect, each of these events has it’s own focus and character. If you’re going to spend your valuable time and precious money, it’s a good idea to know the difference so you can choose wisely where to go and what to expect. This fall three veteran entrepreneur events were produced in our region. They are likely going to be produced again in 2018. In the interest of transparency, we produced the first one, but I’ll do my best to be objective. Veteran Entrepreneur Summit 2017, September 23, 2017. 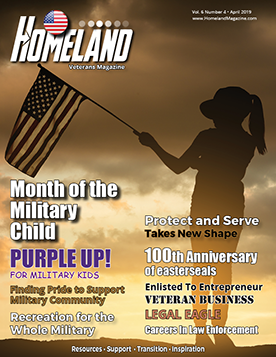 Sponsored by a grant from the City of San Diego and significantly assisted by Homeland Magazine, this event was produced by National Veterans Transition Services Inc., which is well-known for its REBOOT program. V.E.T. Summit 2017, designed and coordinated by a team of dedicated volunteers, targeted startups and small business owners. It featured a number of basic how-to, informative, deep-dive workshops on how to manage and run a small business, a panel of bigwigs, as well as roundtables with experts. The keynote speaker was a veteran who recently sold his business to GoDaddy.com. Exhibitors aim at small business vetrepreneurs. Cost to Attend: $25, active military free. Veteran and Military Entrepreneur Conference & Awards, October 25, 2017. Produced by the San Diego Business Journal and The Rosie Network, with a number of corporate sponsors. The conference and awards dinner had the feel of two different events knitted together. The “conference” part had a small number of workshops on topics such as Cyber Security and Funding, limited display tables, as well as well-recieved brainstorming sessions during lunch. It appeared to be primarily a fundraiser for The Rosie Network. The awards dinner, featuring “war stories” about the winners, followed the standard San Diego Business Journal format of inviting corporations to purchase tables and fill them with invitees. Cost to Attend: $65-$150, active military free. You can tell a lot about an event by how much it is charging to attend. Producers can eliminate unwanted attendees by charging a price that is not attractive to small players. Any event charging over $50 is not targeting cash-strapped startups. Larger operations recognize a higher ticket price as more likely to attract larger, more established companies like themselves. Calling out to active military for free has proven to be a boondoggle. Sounds like a great idea, but the result is lots of registrants that don’t show up, but add to the cost. All conferences always include workshops. A careful review of those workshops will tell you who the event means to attract. If an event has speakers addressing basic business issues, then the target markets are startups, young businesses, and “side hustles,” popular among currently employed vets, and active military. If the workshops feature issues such as funding, insurance or taxes, the producers are likely responding to sponsor demands (fair enough). Should the speakers be focused on working with prime contractors, match-making, or winning bids, then the target market is primarily certified veteran-owned businesses or wannabees. It is challenging to produce these events. The veteran business owner community is diverse and not homogeneous. Veteran entrepreneurs are sprinkled throughout the community and are consequently hard to easily reach. Truthfully, there are few experts on the topic of veteran business ownership, so finding speakers who are spot-on is a not easy. Keynote speakers tend to give their canned talk about the local economy, or worse, talk about themselves. Boring and irrelevant in my opinion. Having said all this, events can be exhilarating, exciting and worthwhile. They are not for the shy or socially inhibited. Just a few new contacts can produce significant results. Pick the right one or ones, get clear on your goals and go armed with lots of business cards.